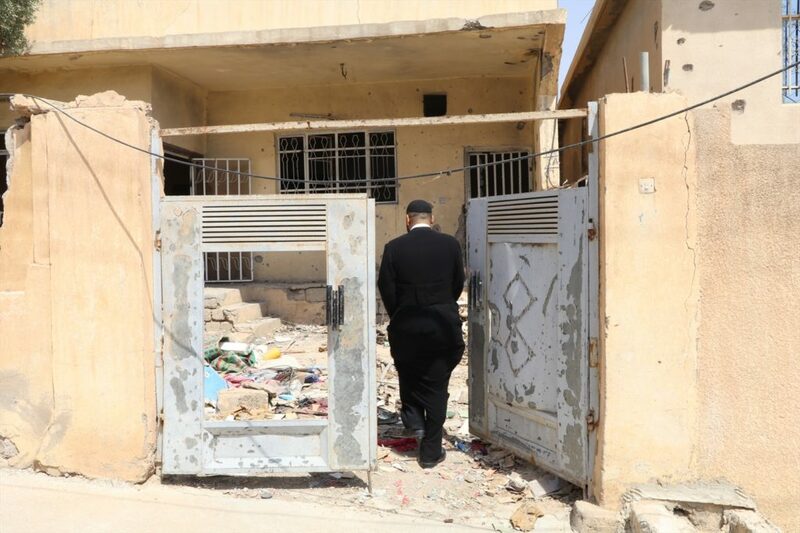 With towns and cities such as Qaraqosh and Bashiqa in Iraq’s Nineveh Plains now liberated from Islamic State (IS) forces and their original inhabitants beginning to return, there is confidence among some local Christian leaders that life is slowly beginning to get back to normal. The return of Nineveh’s Christians is most visible in Qaraqosh. About 1,500 families – more than 20% of the total Christian population before IS came – have now gone back. A local priest, Fr. George, has helped facilitate the return through a Centre for Support and Encouragement, a project based in Nineveh’s liberated towns to help returnees who fled the IS invasion. The centre was built to help families co-ordinate the rebuilding of destroyed homes. Fr. George explains that workers at the centre have determined the level of repair of 6,936 damaged homes in Qaraqosh, each categorised as level A-C, depending on their damage: “Level C means that the home is damaged, but can easily be repaired with US$5,000 or less. Level B homes are fully burned from the inside or are more damaged in other ways. Level A means that a home is fully destroyed, collapsed because of a bomb for example. In Qaraqosh we have 4,774 level C, 2,046 level B and 116 level A,” he says. A report for each home shows every broken door and window, or hole in the wall, so when its owner wants to return to Qaraqosh, the centre’s committee can accurately estimate repair costs. When a repair grant is approved by the centre, the family gets the money and is responsible for arranging their own repairs. The centre keeps a list of tradesmen ready to take on the work. To maintain accountability, a family must give all receipts for work done to the centre, and return any money not spent. Some families have savings that they also put towards rebuilding their home. In Bashiqa, 20 miles north of Qaraqosh, a similar centre also operates as a base where families can sleep while they restore their homes. As he walks through the town Fr. Poulos points out homes being restored. One is being renovated with a grant but, the owner says, the fresh coat of blue paint on the outside was paid for with his own savings. IS destroyed the doors and windows of many homes but they have since been replaced using funds from the centre. 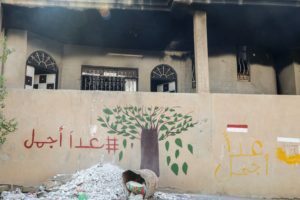 The lack of security, together with the high cost of rebuilding, are cited as key reasons why many former Nineveh Christians will not return to their former homes. People are slowly returning but the Christian population may never be as high again because, according to a report on their movements in the Middle East published in June, 50% of Iraq’s Christians have already left the country. 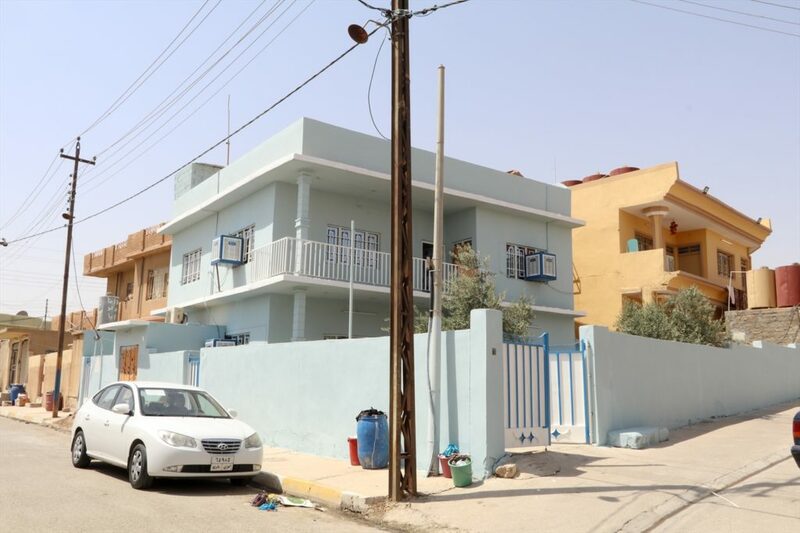 Many returning Christians had fled to the Kurdistan Region of Iraq (KRI). The region, which will hold an independence referendum on 25 September, has been considered a safe haven for minorities but USCIRF recently reported a growing threat from extremism in KRI. Unlike the Nineveh returnees, Christians who had fled the capital, Baghdad, are still vulnerable should they want return there, reports Al Arabiya. Shop owners in the city report having to pay protection money, while Christian girls are not safe to walk alone in some Baghdad neighbourhoods. The brutal attack in August on an elderly woman by a group of armed men was seen as a “message for Iraqi Christians who fled to Kurdistan or other neighbouring areas never to come back”, says William Warda, Coordinator for the Alliance of Iraqi Minorities Network.